Jenny Bell is a burgeoning artist with a past she’s trying to hide. We learn more about her past little by little as we get to know her. 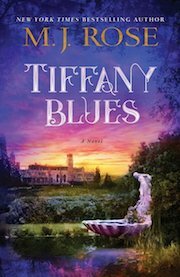 She and her friend Minx get the chance to study at Laurelton Institute where Jenny gets to meet her idol Mr. Tiffany and his grandson Oliver. I’ve loved everything I have read from the author and this doesn’t make an exception. It has less mystical elements in it than the other books I’ve read but the writing is great as always. Jenny has trouble forgetting the horrible stuff that happened in her past, but it was nice to see how she learns to open up and grow. She learns to use colors in her art, something she has refused to do in the past and a lot of that has to do with Oliver. I loved seeing how their romance grew and he helps Jenny find some confidence in her art. Another great book by Rose and she always has amazing covers in her books! 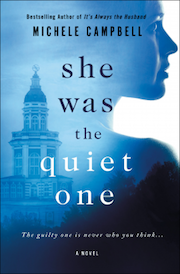 Her most recent novel THE LIBRARY OF LIGHT AND SHADOW (Atria/S&S) was chosen as an Indie Next Pick. Rose lives in CT with her husband the musician and composer, Doug Scofield. 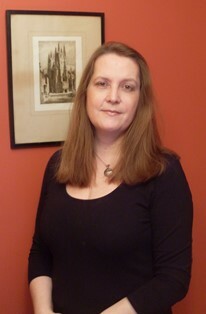 For more information, please visit her website and her blog, Museum of Mysteries. You can also find her on Facebook, Twitter, and Goodreads. When their mother dies, twins Rose and Bel move in with their grandmother who they barely know. They are sent to The Odell Academy, a boarding school for the rich kids, where the academic Rose fits right in, but the wilder Bel becomes friends with the popular kids, but the friendship comes with a price. Bel has a crush on Heath Donovan, an ambitious teacher, which sets her against the older popular kids. The book has some Gossip Girl vibes and I have to say that I hated all the characters. I wanted to know what happens but didn’t feel much sympathy for any of the people. It was a solid read, but I had higher hopes for this one. Hugo Stanton is selected to assist Aelred Barling, appointed clerk of the court, to solve a mysterious death in Claresham. The start is not easy for the two very different men working together and both having secrets of their own. Stanton, in particular, isn’t happy having to work for the king. Stanton appeared on the Fifth Knight novels, which I enjoyed, but I have to confess that I don’t remember him. It was frustrating at times trying to remember since there are references to the past. Stanton and Barling are very different personalities and at first, it causes difficulties. Barling does everything by the book and Stanton is more of an improviser. I liked to see how they learned to work with each other and started to respect each other. I loved to read about the normal life since the books I’ve read usually centers at the royal court or something. It was great to learn more about how the justice system worked in 12th century. I certainly wouldn’t like to be accused of anything in those times. I enjoyed the book and can’t wait for the next book. Good start for a new series. E.M. Powellís historical thriller Fifth Knight novels have been #1 Amazon and Bild bestsellers. 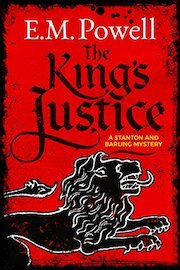 The Kingís Justice is the first novel in her new Stanton and Barling medieval murder mystery series. 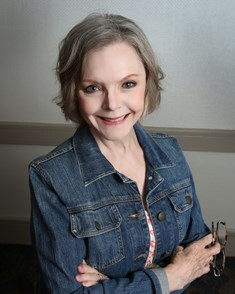 She is a contributing editor to International Thriller Writersí The Big Thrill magazine, blogs for English Historical Fiction Authors and is the social media manager for the Historical Novel Society. I didn’t realize before I started that it’s a second book in a trilogy, but it works well as a stand alone. Although now I do want to read the previous book. When twins Harry and Harriet return from the war, they decide to spend the summer in their grandfather’s summer home in Mackinac Island. While there, they discover an old letter written by a woman to their great-grandfather. While searching for answers, they learn secrets from three generations. The book began little slow but once the twins move to Mackinac Island, things started to happen. We learn the many mysteries and secret from many generations, but we also see how the twins learn to live their lives after the war. Settling back into their old lives isn’t easy but slowly they start to live again. While the book started slow, at the end I just wanted to know what happens next. 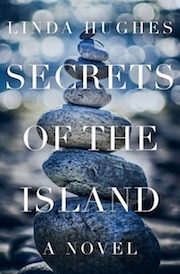 As a native Michigander, award-winning author Linda Hughes has been visiting Mackinac Island since she was a kid. Sheís spent countless hours riding a bike around the shoreline, and perusing the library and church records to learn about island history. Sheís built many a cairn, witnessed the Northern Lights on several occasions, and eaten more than her fair share of chocolate fudge. Sheís a world traveler, having worked in thirteen countries and visited a couple dozen more, but Mackinac Island remains one of her favorite places. 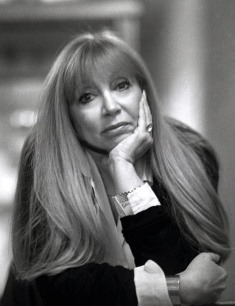 Her writing honors come from the National Writers Association, Writerís Digest, the American Screenwriters Association, Ippy (Independent Publishers), and Indie Book of the Day. 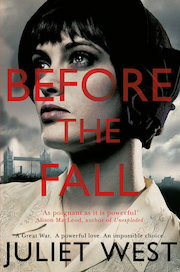 Hannah’s husband has gone to war leaving her with their two children. She’s not happy when she has to move in with her mother, sister, and brother-in-law. Hoping to earn some extra money, Hannah takes a job at a café where she meets Daniel Blake. Working as a ship worker exempts him from war, which isn’t to everyone’s liking. I had read a lot of good reviews about this and I had high hopes for this one. It wasn’t bad but not as good as I wanted it to be. I didn’t quite connect with any of the characters and even the ending didn’t really move me. Especially Daniel felt very distant which wasn’t helped that Hannah’s narrative was in the first person while Daniel’s was in 3rd person. It moved too slow at times to keep my interest. But on the positive side, it did give a realistic feeling about the time.